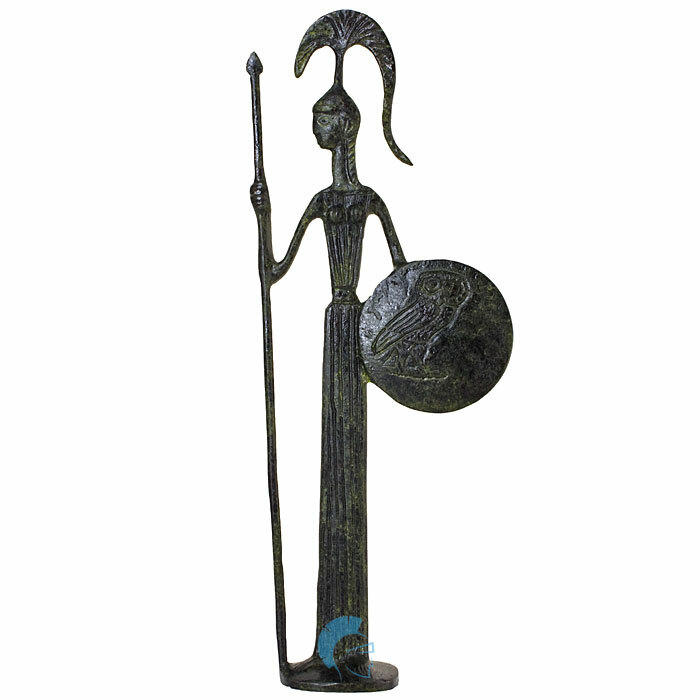 Athena, Goddess of wisdom, strategy and disciplined war, holding her shield and spear. 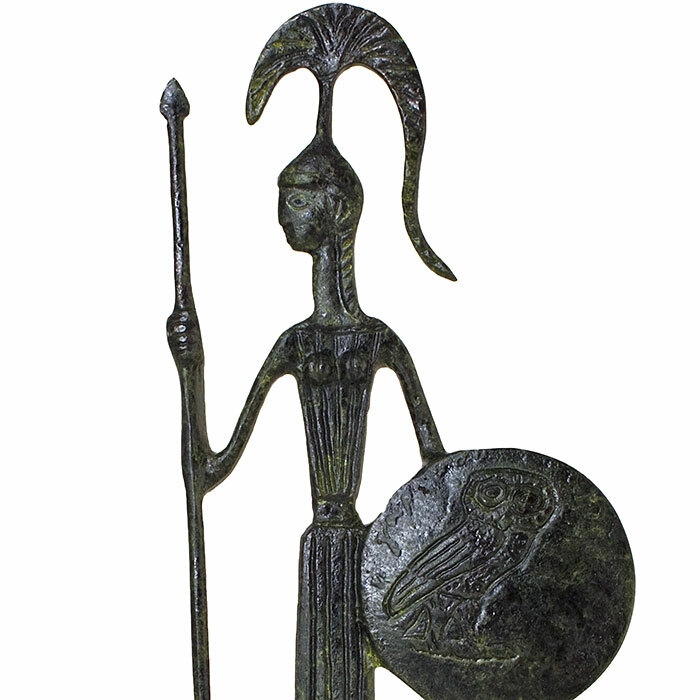 Veneration of Athena was so persistent that archaic myths about her were recast to adapt to cultural changes. 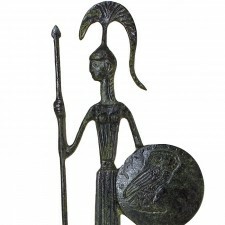 In her role as a protector of the city (polis), many people throughout the Greek world worshiped Athena as Athena Polias (Ἀθηνᾶ Πολιάς "Athena of the city"). While the city of Athens and the goddess Athena bear the same name (Athena the goddess, Athenai the city), it is not known which of the two words is derived from the other.